Goji introduces a great door lock that does more than just open and close the door. I've been looking for products that can work with an iPhone or droid phones for a while. I noticed that latest cool thing is door locks. Out of the locks that work with smartphones, I looked at Kwikset, August, and last, but not least Goji. Goji is different from Kwikset and August by one simple and yet very useful feature, camera. 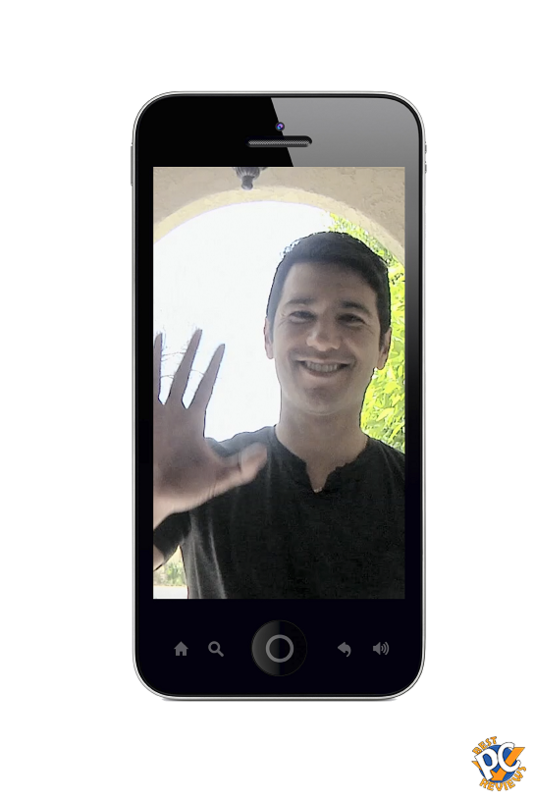 With Goji, when somebody knocks on your door, Goji takes a picture of that person and sends it to you by email or to your Goji app. 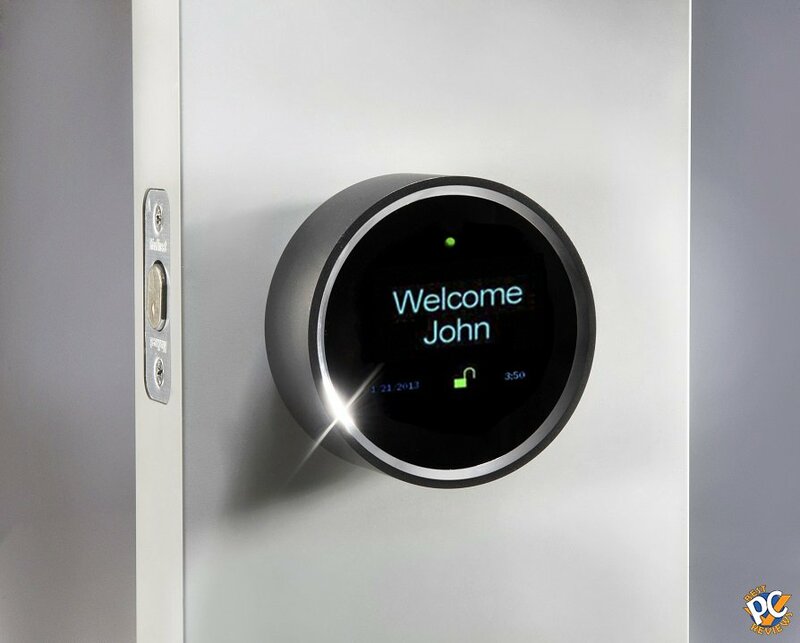 Goji Smart Lock works with your smartphone, however, if somebody in your house doesn't have a smartphone, it can also be used with electronic Bluetooth fobs. They can be programmed with date and time of accessibility. These cool looking fobs have specially designed spring-loaded closure that lets you easily clip it to a belt loop or purse strap. The set also comes with two mechanical keys as a backup if you lost your phone and fobs. You can also order electronic fobs from their web site for $38 each or 2 for $68 at this time. Goji Door Lock gives most peace of mind of all door locks out there. Pictures Goji makes can be used as an evidence even if you did not get robbed. Let's say robber was going door to door checking if doors were open. Well, let's say your doors were locked, but your neighbor's doors were open. The thief breaks in your neighbor's house and later disappears. Well, you have a picture of the thief on your phone. Can it be used for investigation by the police? Absolutely! Now let's look at the prices. If I got it right, Kwikset goes for about $220, August for about $200, and Goji goes for about $280. There is a price tag difference, but with Goji once again you get a camera! 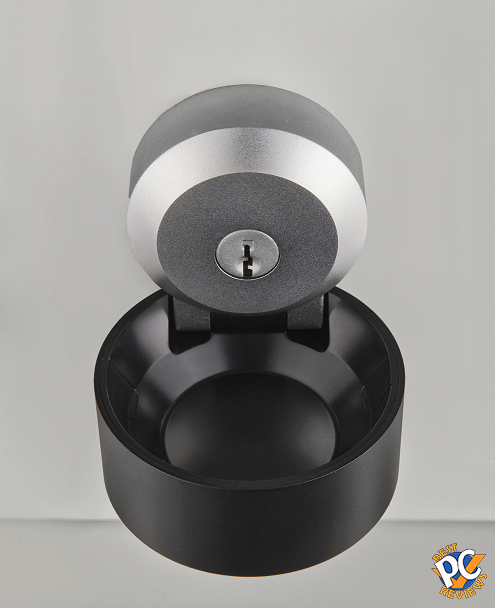 Another cool thing is at the Goji web site you can order two locks at the same time, saving yourself some money. Goji uses WIFI for remote access (you can open and close the door with that) and Bluetooth for opening and closing the door. You can also allow certain people certain days and hours of accessibility to the door. So far it seems that Goji door lock is the best lock for any consumers. The door lock should be released on March 2014, but you can pre-order the lock now for a cheaper price. Please leave some comments, suggestions, and questions if you have any.